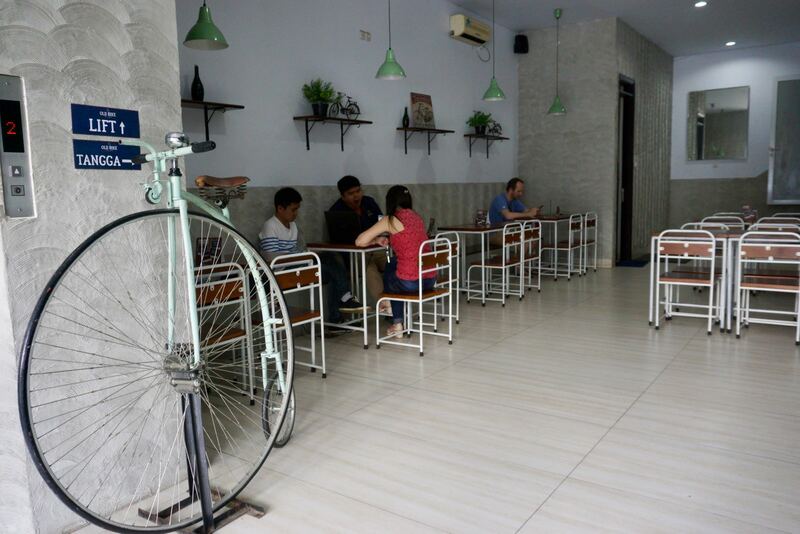 New in late 2016, Old Bike Coffee & Eatery is a modern coffee shop on Jalan Surya Sumantri serving great coffee at a friendly price. We complain a lot about coffee prices in Indonesia. 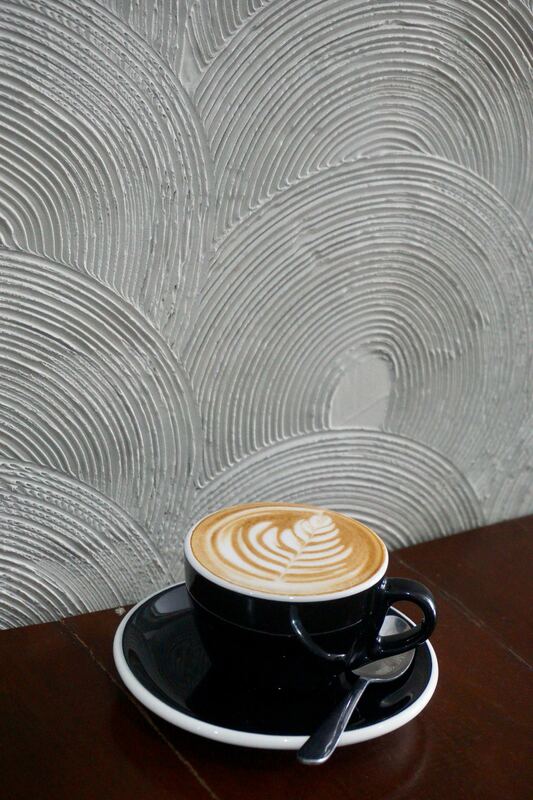 You can get a specialty coffee from Yellow Truck for Rp18.000 and the same one from Common Grounds for about Rp47.000. And the difference in quality isn’t that great. 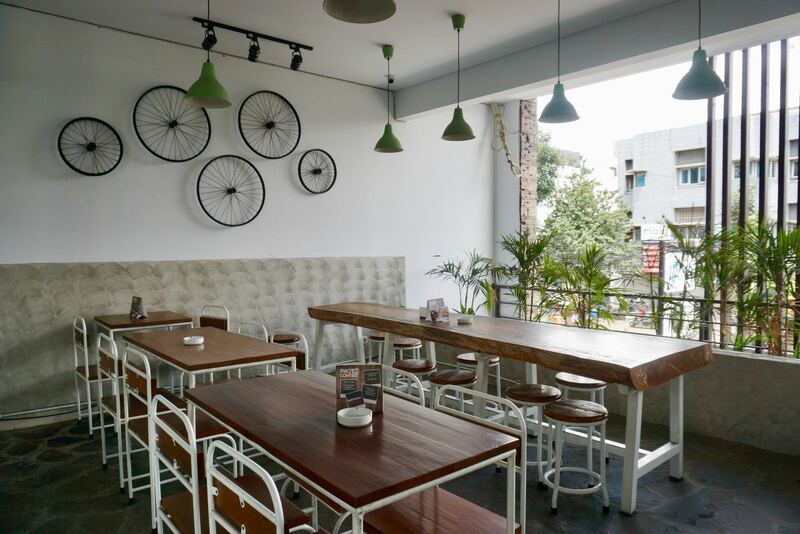 At Old Bike, they’ve chosen to price their coffees at the lower end of the range with a magic (double shot ristretto with milk) only costing Rp20.000. That’s an absolute bargain. But of course it’s not all just about price. Quality is important too and we were very happy with our coffees at Old Bike. The magic was strong and punchy and the flat white slightly more milky, but still quite strong. The fitout here is interesting. They have a really large ruko to play with and they’ve done a good job. Simple tiled floors, wood and metal furniture and brushed concrete walls. We found it to be a little noisy because of echoing, but that’s something they should be able to fix quite easily with some pictures on the walls. Free wifi is also provided and you will always find a seat because it is so big. 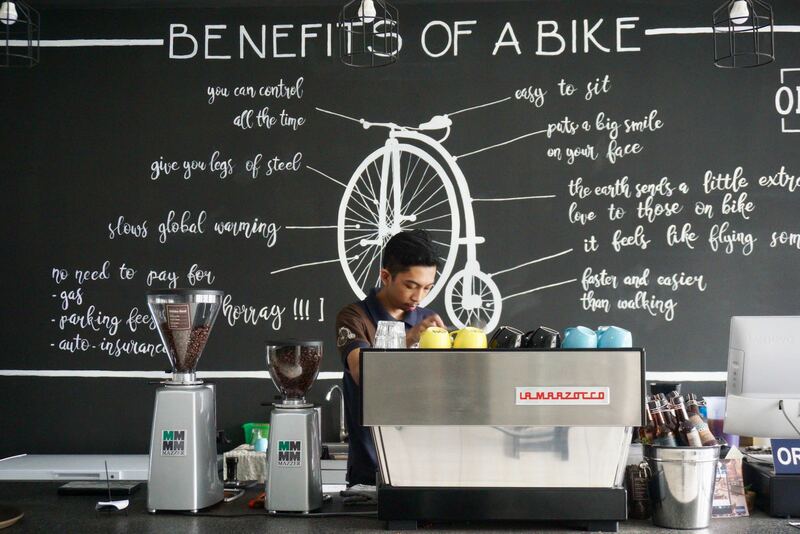 A good new coffee shop in Bandung.